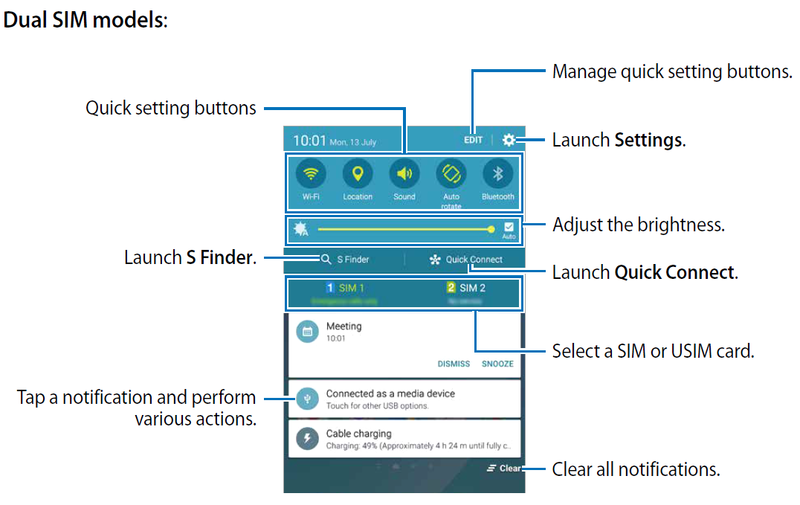 Samsung Galaxy Note 5 when you receive new notifications, such as messages or missed calls, indicator icons appear on the status bar. To see more information about the icons, open the notification panel and view the details. To open the notification panel, drag the status bar downwards. To close the notification panel, swipe upwards on the screen. Tap a notification and perform various actions. 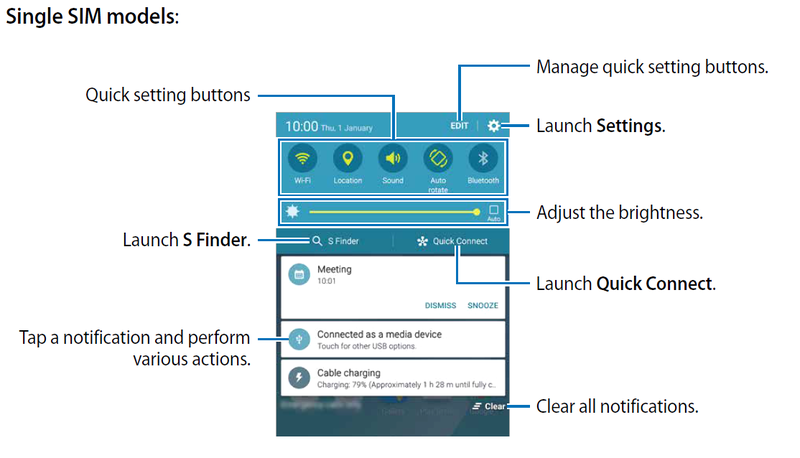 Tap quick setting buttons to activate some features. Swipe to the left or right on the buttons area to view more buttons. 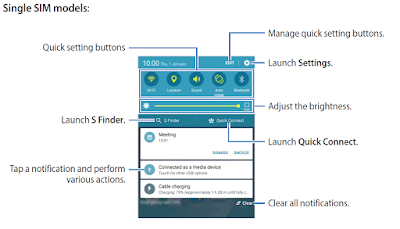 To view more detailed settings, tap and hold a button. To rearrange buttons, tap EDIT, tap and hold a button, and then drag it to another location. 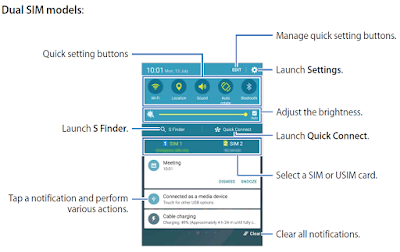 If the device you want to connect does not support the Quick connect feature, activate its Wi-Fi Direct feature before launching Quick Connect on your device.